Monarch Air Group provides private air charter in Hamptons, NY. Our clients benefit from top-notch service, unrelenting dedication to safety, wide selection of aircraft, and years of experience in chartering private jets. To obtain a free quote, please use our online quoting tool provided below, or call toll free 1-877-281-3051. The Hamptons is situated on the eastern end of Long Island in New York State. 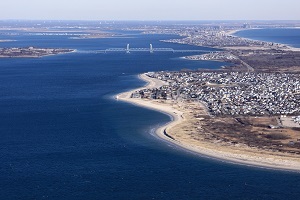 It’s made up of several villages and hamlets in the towns of Southampton and East Hampton, and includes Bridgehampton, Amagansett, East Hampton, Montauk, Hampton Bays, North Haven, Napeague, the Quogues, Sagaponack, Sag Harbor, Shelter Island, Springs, Southampton, Wainscott, Westhampton, Westhampton Beach, and Water Mill. The Hamptons is one of the historic Summer Colonies of the American Northeast that form a famous seaside resort. The most popular places of interest are theMontauk Indian Museum, the Whaling Museum, Deep Hollow Ranch, the Old Hook Mill, and others. Hamptons offer such outdoor activities as swimming, boating and fishing in the Atlantic Ocean, the bays and the harbors all-year.